If you haven’t already heard, Phoenix food site Phoenix Bites is celebrating 6 years on the scene! In a world where websites come and go, 6 years is nothing to sneeze at. Like our pal Angel (owner of Yay Baby! Blog and contributor to Phoenix Bites, you can see her recipe here), we wanted to celebrate Phoenix Bites and its owner Taryn with a fun cocktail! The creation of this cocktail went through many iterations. We wanted initially to make a play on a classic cocktail and modernize it. We then realized that we were trying to reinvent the wheel. What we really wanted to do was toast Phoenix Bites and Taryn. 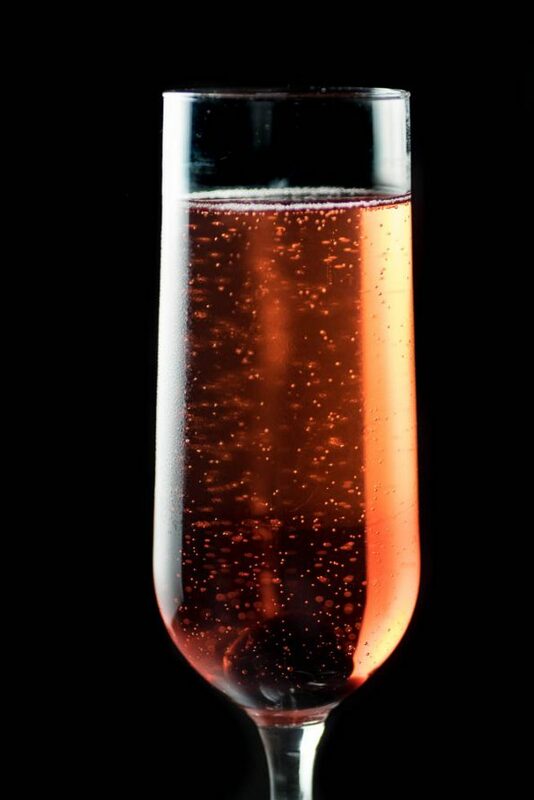 What’s better to toast with than bubbles? 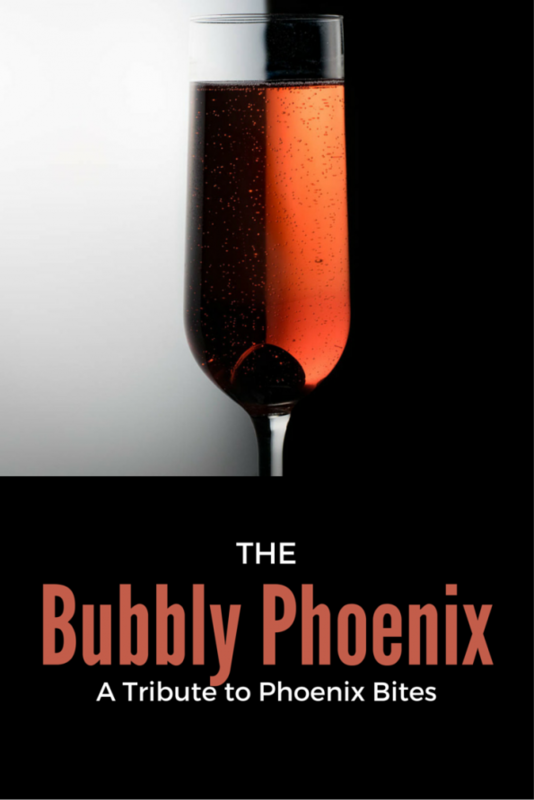 Thus, The Bubbly Phoenix was born! There have been numerous people in this community who have helped us get to the point we are at today. Taryn has definitely been one of those people. Whether it is hosting events, maintaining a networking group for food writers, or even just offering advice on how to make your blog the best it can be, she is there. We couldn’t have done it without you! So we just want to say congrats to Phoenix Bites and Taryn! Thank you for everything you do and here’s to much future success! Cheers! Add grenadine and chocolate bitters. Next → Next post: National Tequila Day 7/24 Around the Valley + a Recipe to Make at Home!